Only 300 Tickets are available for Nijapada Darshanam Online Booking Quota which Occurs Only on Friday’s. Remaining tickets will be issued at C.R.O Office Tirumala a day before Seva. 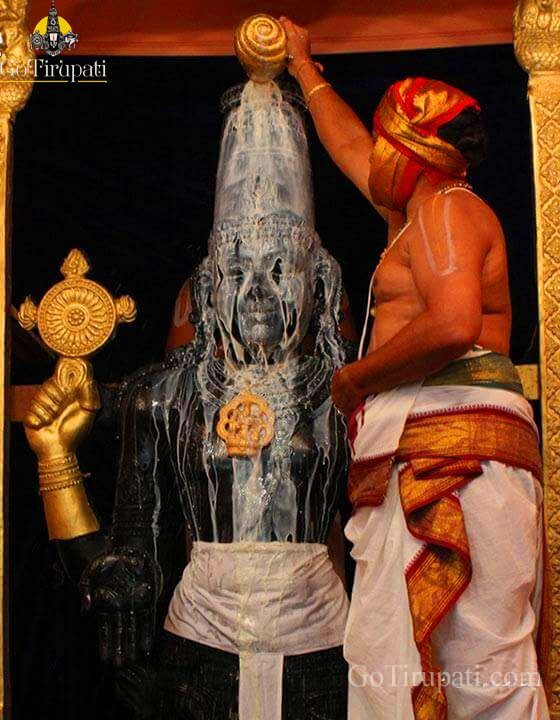 On Fridays, One can have a glimpse of Lord Venkateswara without ornaments called ‘NijaPada Darshanam’. 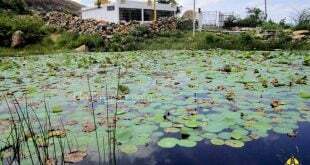 The Lord Sri Venkateswara is always decorated with roses and other flower garlands. The Image of His Consort Sri Devi is etched on the right side of His Chest while other Consort Bhu Devi is etched on the left side of His Chest. 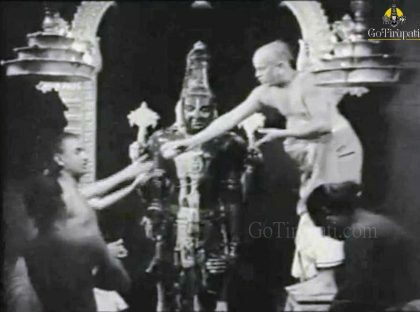 The Nagabharanam ornaments embellish His Shoulders. The Gold ‘Yajnopavitham’, the sacred thread, crosses the chest over His left Shoulder. A cobra-like mark is seen around his right hand. The four arms are adorned with ornaments that resemble Naga Jewels. The slightly outstretched diamond-encrusted lower right hand, is in the boon-granting or Varadahastha pose, pointing symbolically towards His Lotus feet, the only refuge of His devotees in their quest to overcome the cycle of birth and death. His Lower left hand is in the Katihastha or Katiyavalambita pose in which the thumb is placed on the thigh and other fingers are almost parallel to the waist. 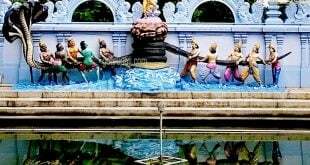 It symbolically indicates that the troubles of life are only knee-deep once the devotees seek His refuge and assure His devotees of His protection. 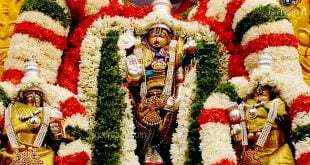 His dark body is clothed with a Pithambaram fastened with a golden string and encircled with a Dasavatharam gold belt to which are attached tiny, jingling gold bells. 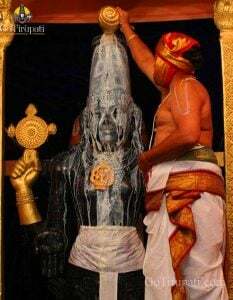 The ‘Surya Katari’ or the Sword of the Sun hangs from the Dasavatharam belt. It is believed that the Sun God presented this belt to Lord Sri Venkateswara. His Legs and Lotus feet are covered in gold and sport golden anklets with tiny bells. 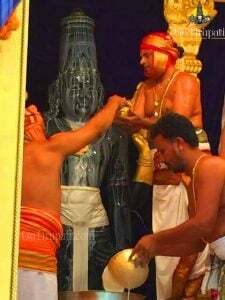 Since the idol of Lord Sri Venkateswara has not been sculpted according to the specifications given in the Agama Sastras for Idols, it is presumed to belong to an older era when the Sastras have not been formulated. Please leave your comment on Nijapada Darshanam Online Booking, We will get back to you at the earliest. Please share Nijapada Darshanam Online Booking with your friends by clicking SHARE buttons below. You need to enroll online in seva electronic dip , the next quota will be released on April 5th at 10 am . You need to enroll online in the seva electronic dip , the next quota will be released on April 3rd at 10 am.